Attracting or leading customers in an ecommerce store to the checkout process is the first success of sellers. How can you make them give decisions to purchase products immediately? It is impressive to keep the accessible, clean & clear layout and make sure that there are no extra steps or clutter. The more convenient the interface and the steps involved to deciding purchases, the more likely a customer is to finish their transaction and return later. 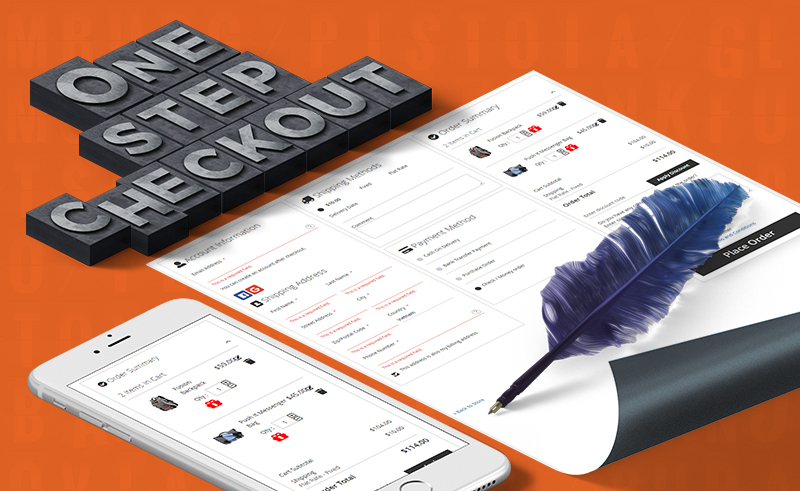 1 Let’s explore our Magento 2 One Step Checkout! 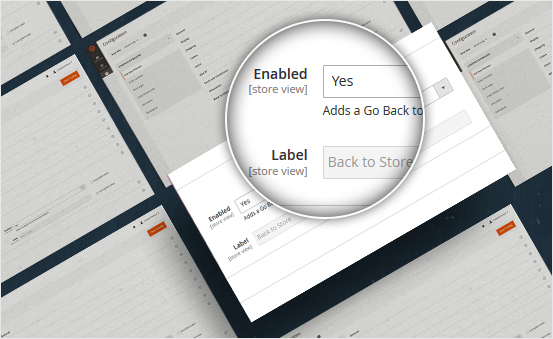 Let’s explore our Magento 2 One Step Checkout! 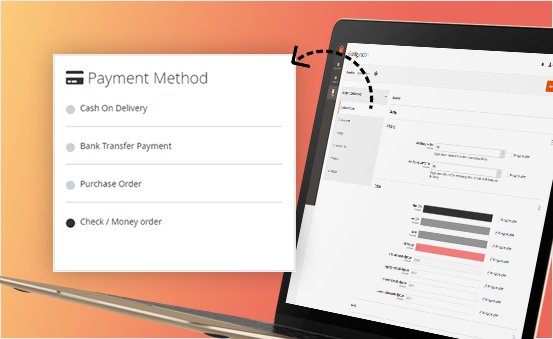 Including full checkout process with all steps on ONE page, our Magento 2 One Page Checkout help you to speed up the whole process of transacting any items and significantly enhance your customer satisfaction. Increase your sales considerably and push extensively conversion rate, decrease large amount of abandonment card & most importantly is FAST & SAVE checkout time are what you can get by using our best extension. 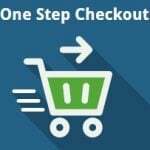 Be more powerful than the default checkout system by including all checkout steps appear together on a single page for customers to modify any step at once. It can bring lots of interesting shopping experience and reduce abandon rate significantly with time saving of 45% on checking out and making payments. One way to save time for your customer to check out is letting them login with Social Account such as Facebook, Google, Twitter, Github, Linkedin,etc instead of using or typing long email address. Using this way can bring best experience for both you and customer to increase the amount of traffic to your store. 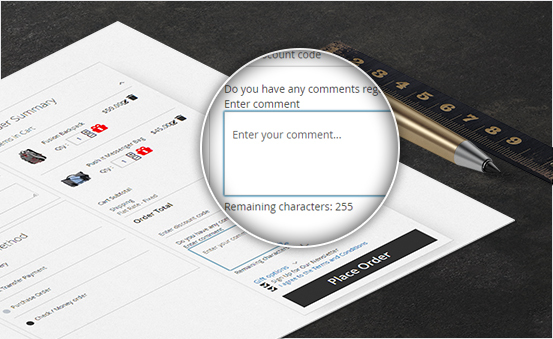 Our Magento 2 One Step Checkout provide comment box for customers to note their expected requirements for Order or Delivery aspects. That is a useful way for customers to clarify their demand and also is a benefit for you to serve them in the best way. With Magento 2 One Step Checkout, your customer can send any single product or all items from cart to their beloved ones in one step. Only by clicking in the gift icon and then fill in the sender and receiver’s information especially don’t forget typing sweetest message to them. 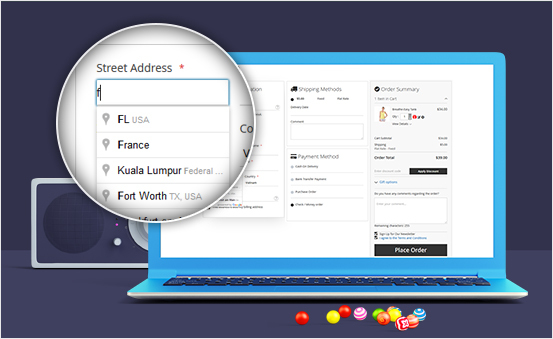 The customers can fill their address in the fastest & easiest way thank to Magento 2 One step checkout function of automatically detecting customer account including email, addresses, etc by using Geo IP. 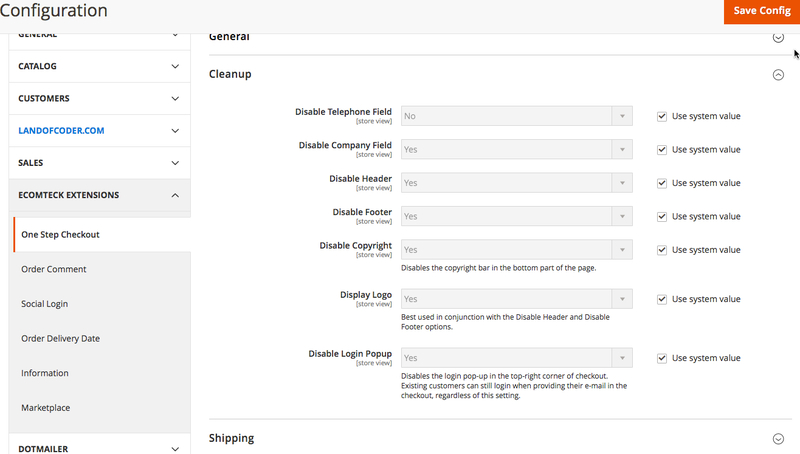 And also, they will also save time to login by auto fill-in for logged customers. 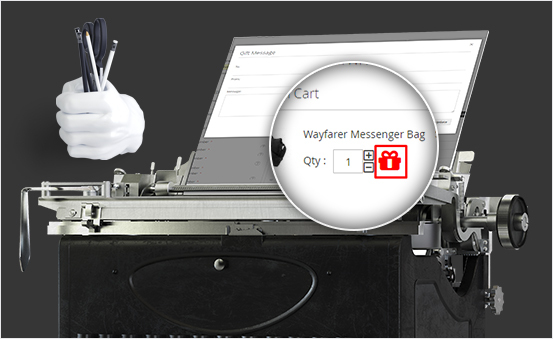 One Step Checkout extension is supported with Google Maps Suggestion to provide a list of relevant addresses for choosing when your customers are in-process of typing a few characters. Moreover, it can automatically seek their location and fill in the address field. 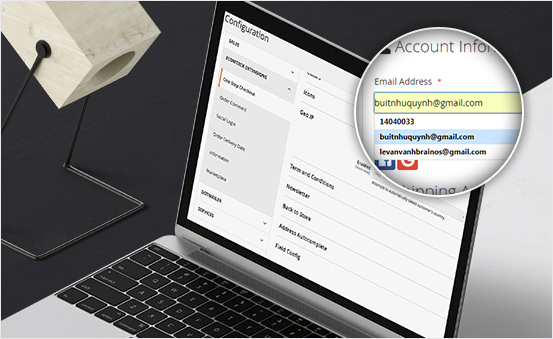 This tool is integrated that help them to fill in the address information field quickly. It is likely for you to update shopping cart product quantity when customers want to change their expected quantity automatically such as Add or Remove the quantity by using Ajax. It helps to reduce your workload, and also reduce your stress when operating to make it well work. Available Term & Condition box in One Page Checkout appears before placing an order without new open tab or redirecting page can raise your customer’s trust on you. You can let customer check Terms and Conditions box or make it be auto-marked. 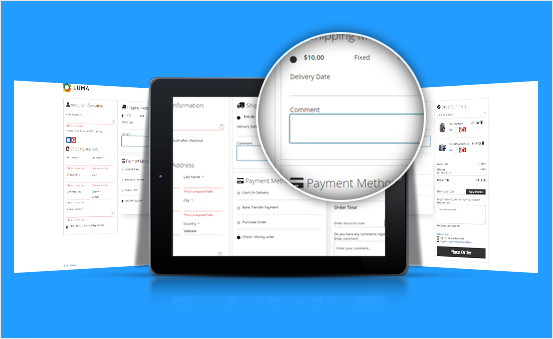 With One Step Checkout support, it allows store admin to easily change the checkout page style, color, layout and title without coding. 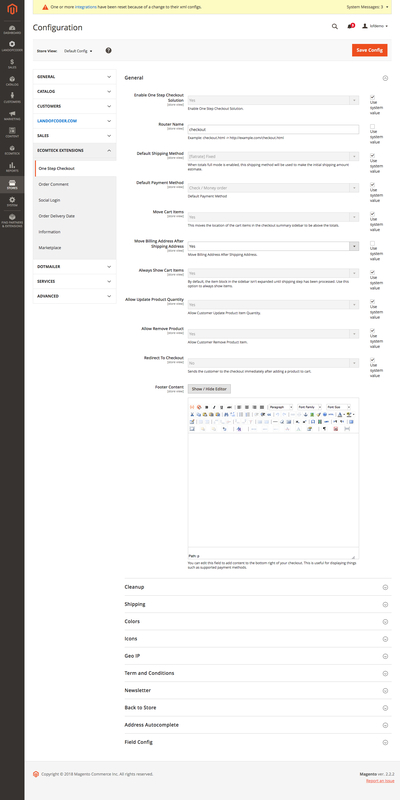 Moreover, the short guidance notes will be enclosed below each setting section which you can use to set the One Step Checkout effortlessly. All things can meet your expectation & requirements. 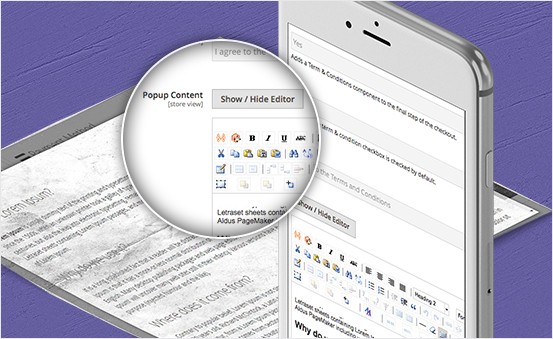 Work smoothly on any devices namely desktops, laptops, tablets or even smartphone. 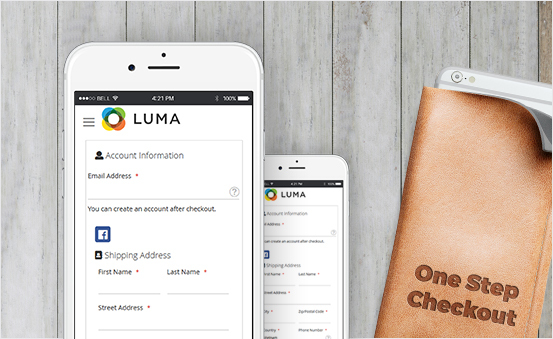 So, your customers can checkout immediately anytime they want. Only taking some seconds with 1-click setting to enabled/disabled the function to go back to store linked to the checkout page, so customer can come back to store quickly without opening any new tab. 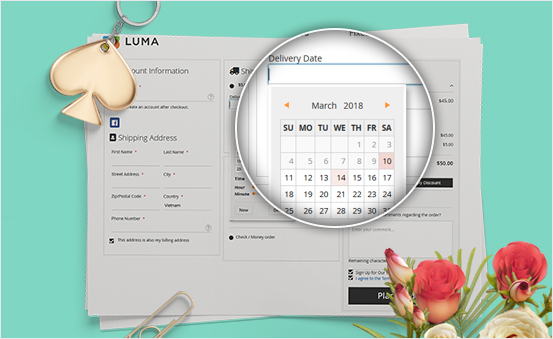 The clients can get the satisfaction when they can indicate the most convenient & preffered day and time interval for order delivery right on the checkout page by themselves. You can offer multiple shipping & payment methods like Paypal, Paymentwall,etc to meet separating conditions of different customers from diversity of countries all over the world. Sometimes offering discount codes for different purposes is an ideal way to attract more & more customers. They only use the code received & then apply that code in the required field on checkout page directly without reloading the page. 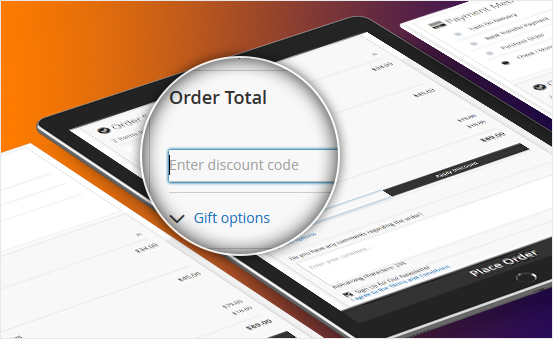 Honestly, Landofcoder wants to create the best Magento 2 One Step Checkout to help you make your explosive store without wasting too much time on checkout page. 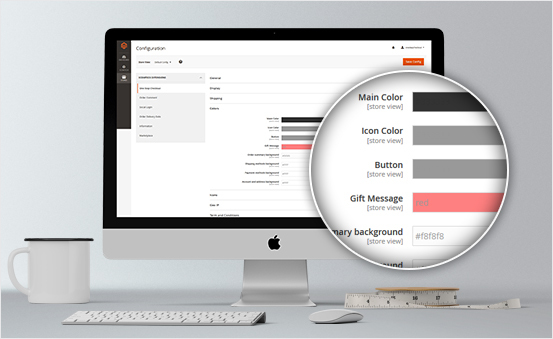 Hence, we are developing and optimize all the functions to complete the Magento 2 One Step Checkout Pro with full & powerful features that never appear before. And also, we provide one best version for Magento 2 EE One Step Checkout to meet your expectation of expanding your brand. 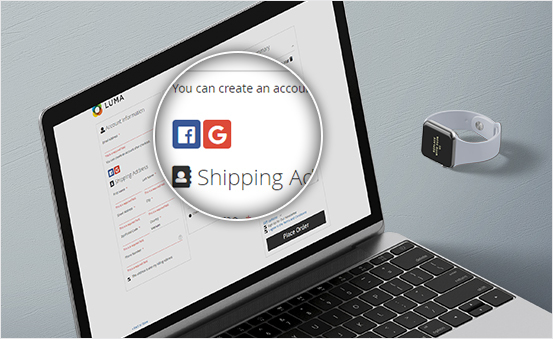 Work perfactly with Landofcoder Social Login Extension: Permit the login from any social accounts of customers,which can widen the scale of your products. Store pickup: Supported with Store Pickup lets customers buy items online and pick them up in a store. 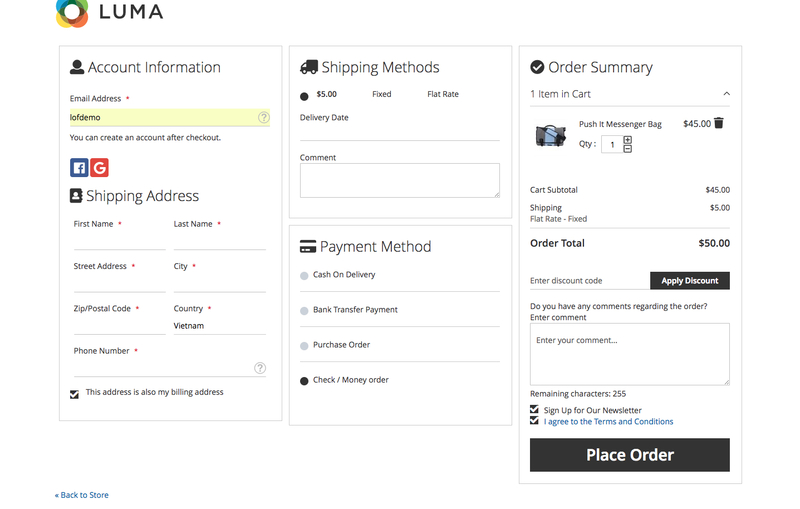 Flat design for one step checkout: Flat Style create your store both beautiful and charming. Optimized Customization Fields (change position, add new fields): It’s easy for you to change position of different fields, add new fields,etc. 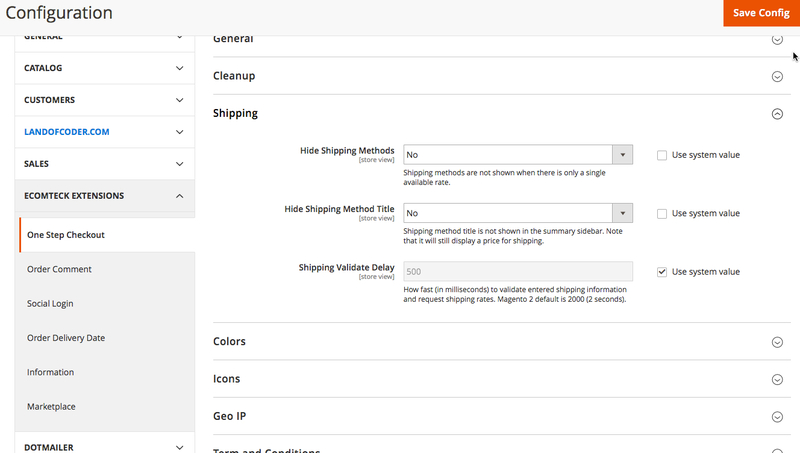 Ajax update options, attribute for shopping cart: Using Ajax to update any options, attributes. 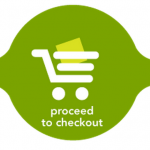 Tracking abandoned checkout and Log address information: Keep track of abandoned checkout & all login address. Search and pickup product to add to cart directly on checkout page: Best interface that can help you do all those steps in only one page. Support Giftcard per product on shopping cart: Gift card enclosed with separated products can bring best experiences for your customers. Turn on turn off Store Credit: Allow to use Store Credit is one way to attract customer and beneficial for the Checkout process. Reward point: It’s easy for customers to get reward points when purchasing products. That can push the returns from customers. Gift card Support: Send items as Gift for any customer’s beloved one. Hope this would assist you in choosing the best Magento 2 One Step Checkout to make your store become powerful and inspiring for customers to push them finish their transaction quickly. If you want to get more information about our product you can visit the website https://landofcoder.com to chat directly with our support team or send your requirements to email info@landofcoder.com. Only with $89, purchase right now to get best benefits from Landofcoder!